Stretching out your brand new strings can help keep them in tune when you play and keep them from breaking as easily. Now that your guitar has a brand new set of strings, you’ll probably want to play the hell out of it. It’s like that “new car” smell, only for your ears. Obviously, the guitar should be in tune for this, and this is exactly where a lot of players get frustrated. 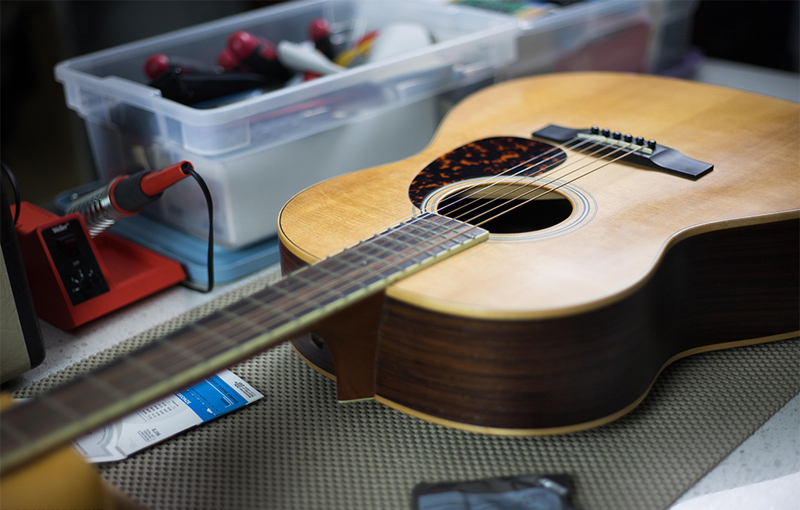 Once the the new strings are on and the guitar is tuned up, the strings immediately go out of tune after strumming once or twice. A new string’s elasticity makes it almost impossible to maintain a stable tuning. Most players attempt to “break in” the strings by playing a lot, then re-tuning, then playing some more, then re-tuning, and repeating those two steps until the strings stay put. It’s a pain in the neck. There are plenty of guitarists who just accept this as a fact of life about stringed instruments, and repeat this process every time they change strings. Keep repeating these steps until your pulling doesn’t de-tune the guitar. By stretching the strings before you play, you’ll save yourself hours of playing out of tune. 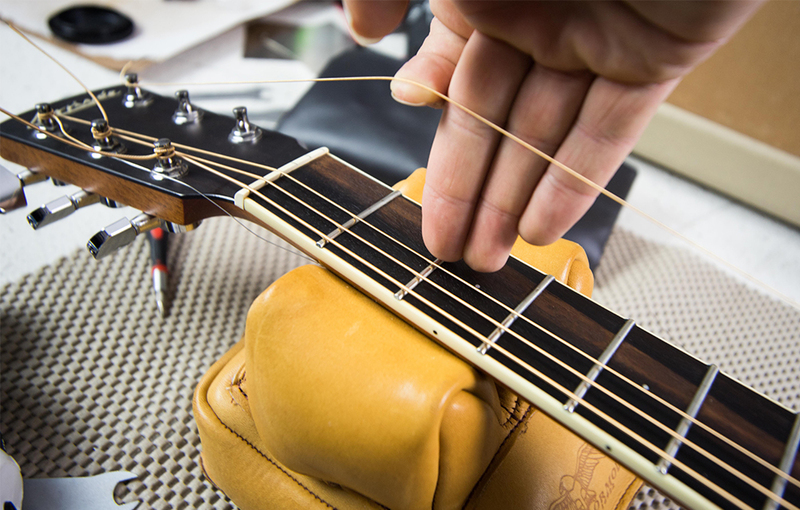 Stretching the strings out like this can also can help prevent them from breaking. Strings generally break at their weakest points, almost always where the string’s tension is uneven. Stretching the string helps to spread the tension out over the whole string, decreasing the number of weak spots.